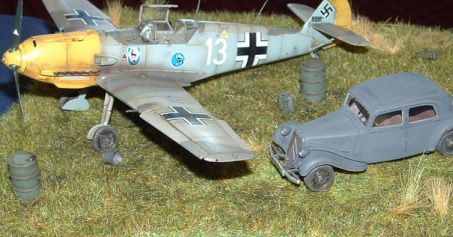 The club started as a sub- branch of The Central Otago Model Society (IPMS) Inc., in November 2002. We held our first workshop in the Knox Church Hall, in Pomona Street on Sunday 11th May 2003, and in October 2004 reached a milestone, hosting the South Island competitions at the Ascot Park Conference facility. Our club, IPMS Southland, started in 2005, with our Constitution being registered on 16 June 2005. Another milestone for the club was reached in 2008 when we hosted the National Competitions at the Invercargill Workingmen's Club. Currently we hold regular informal workshops every second and fourth Mondays of each month. Gathering at Saint Patricks Church hall on View Street members work on their "projects", share their modelling experiences with one another, and generally lament their setbacks and lack of progress etc. Thank you for visiting our humble website and we hope you enjoy your stay. a) To foster and encourage people in the hobby of kitset modelling. b) To assist and encourage modellers making other forms of scale replicas. c) To hold regular meetings. e) No addition to or alteration or recession of the rules shall be approved if it affects the non profit aims, personal benefit clause or winding up clause. The provisions and effect of this clause shall not be removed from this document and shall be included and implied into any document replacing this document. As a part of our biennial model expos we also run major modelling contests. These are designed to be an interesting spectacle for patrons to the event, and also a constructive platform for our members, to help them build and improve their own skills as a modeller.